Matching games are great for so many reasons. 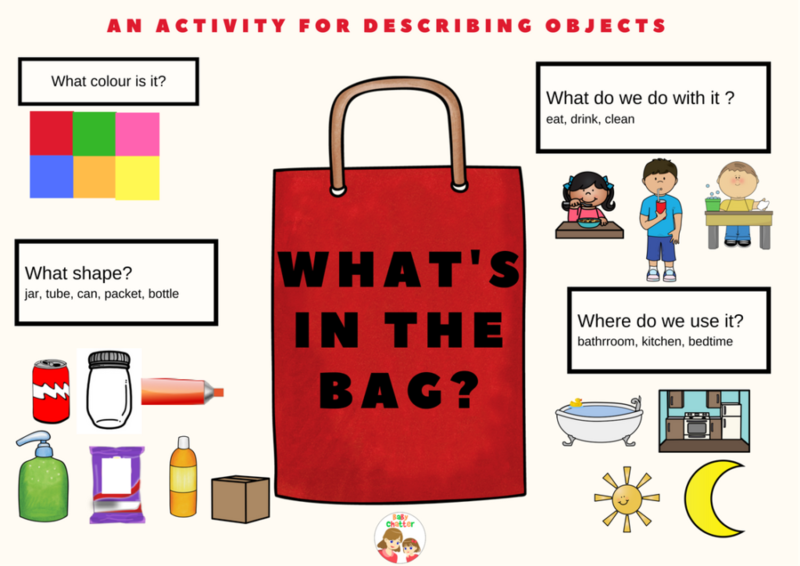 Young children love to match pictures to real objects and it is a great way to learn new words. 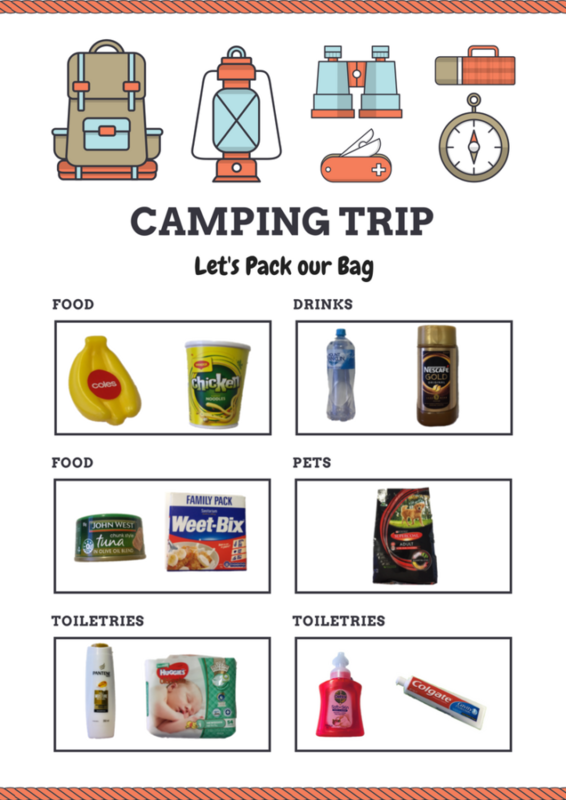 If you have some mini versions of grocery items you can make up some interactive games. Check out our board games you can download for free! 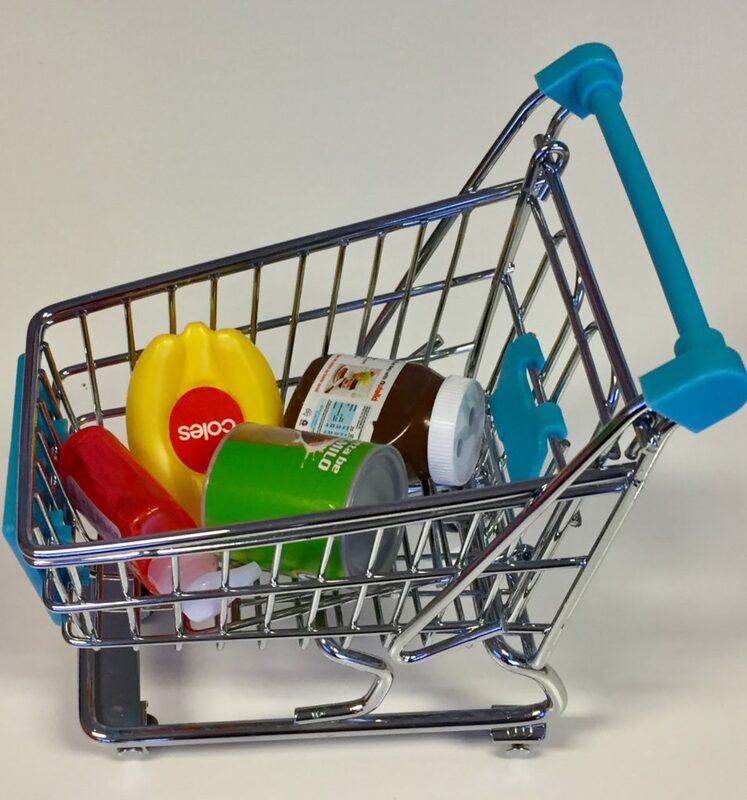 Shopping games are fun with a cash register or trolley/bag. 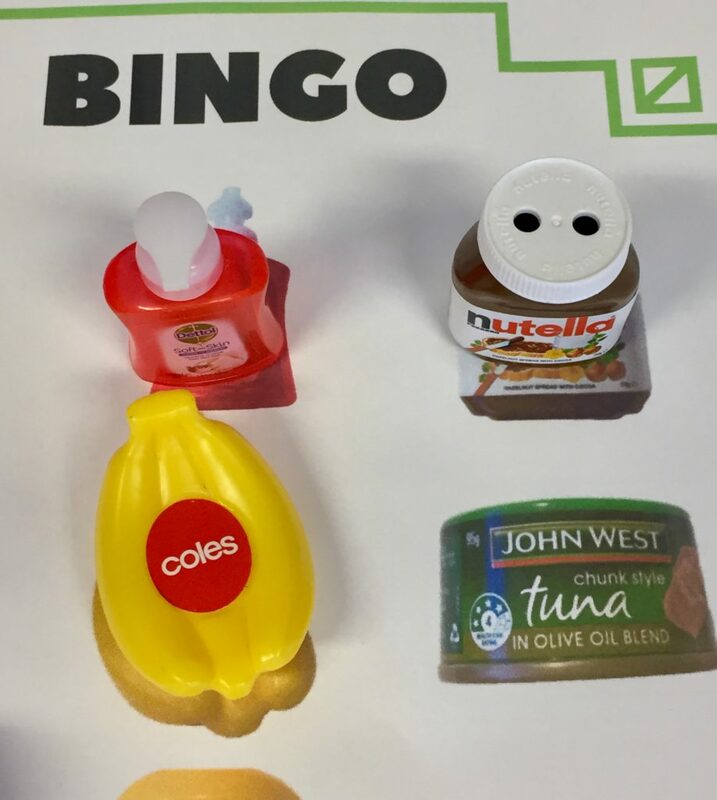 Basic bingo games for real matching can be fun. 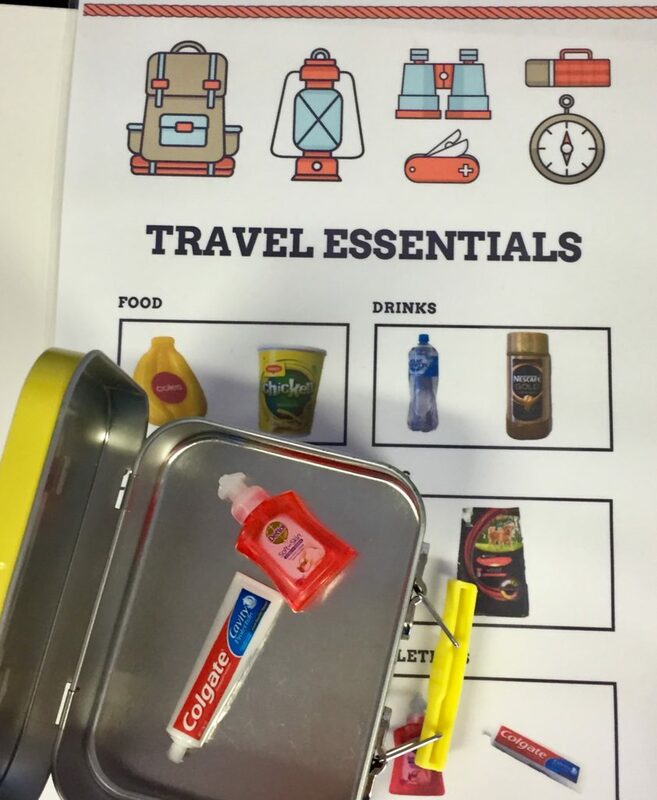 Why not use a packing list to put all the items in a suitcase or backpack for a toy campervan, car or similar? You can order sandwiches and drinks from a cafe menu. Set up the cafe and feed some of the toys. 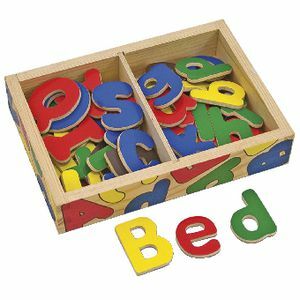 This is called synthetic phonics and it has been proven to be the best way to help a child learn to read when entering full-time school. Good synthetic phonic programmes teach children the essential skills of segmenting, blending and phoneme manipulation. When children sound out words, they slowly say each sound in a word (h-o-t), and then squash the sounds quickly together to “read” the word (hot). This is called blending because sounds are being blended together. Blending (combining sounds) and segmenting (separating sounds) are skills that are necessary for learning to read. These are books that children can read (sound out) independently. They usually include simple words like ‘hot’ ‘cat’ ‘fin’ and other words that contain 3 letters that can be blended together. As children gradually learn more spelling rules such as ‘ch’ as in ‘chop’ or ‘ai’ as in ‘train’ the books incorporate this new knowledge. Our waiting room always has a Role-Play theme. 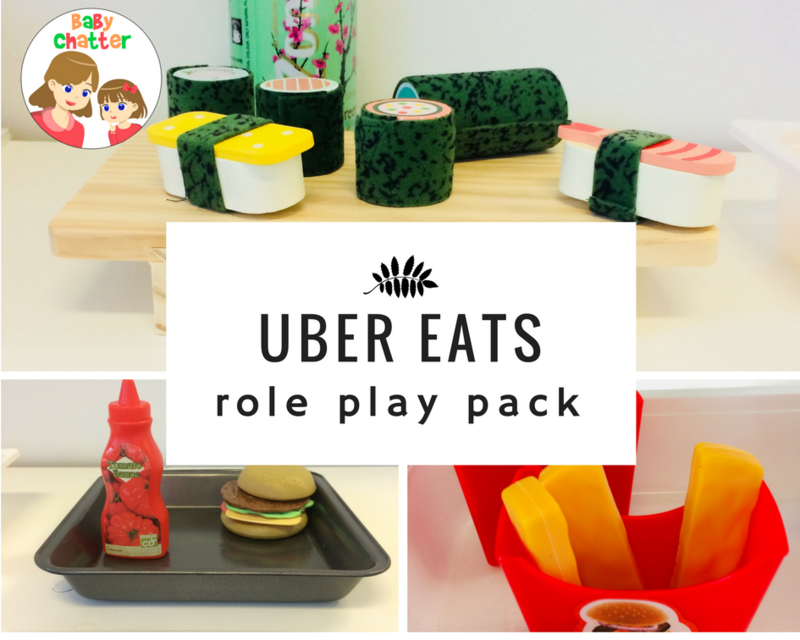 Not only does it make waiting fun, but it can kickstart some ideas for playtime at home. 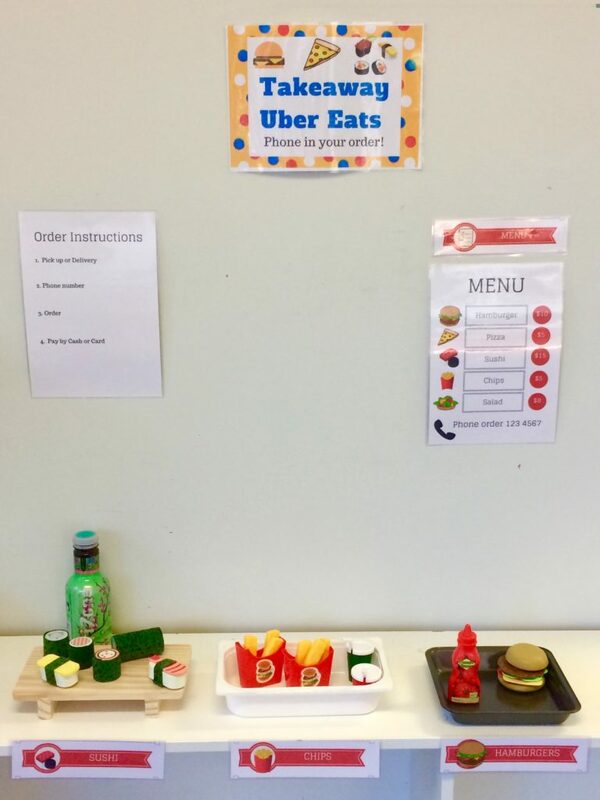 Today we have another food theme – takeaway or delivery food. 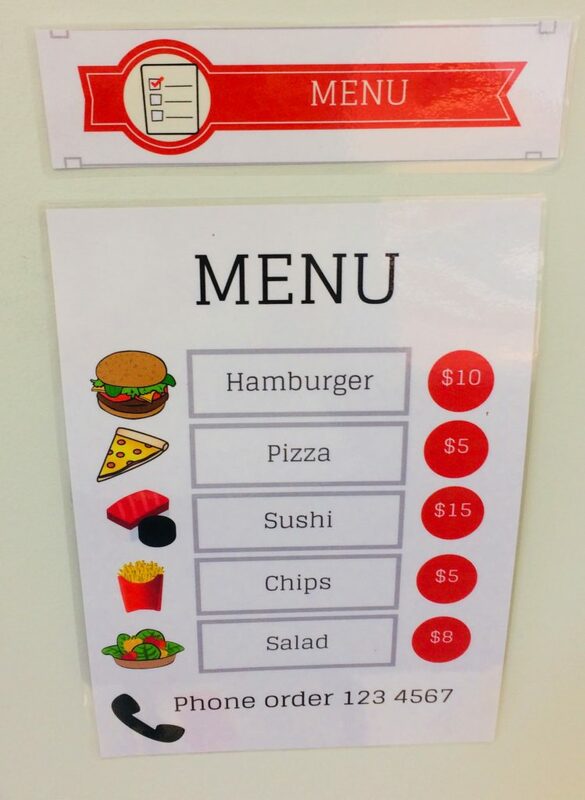 You can order from the Menu – sushi, salad, hamburger, chips or pizza. Do you want takeaway or delivery? 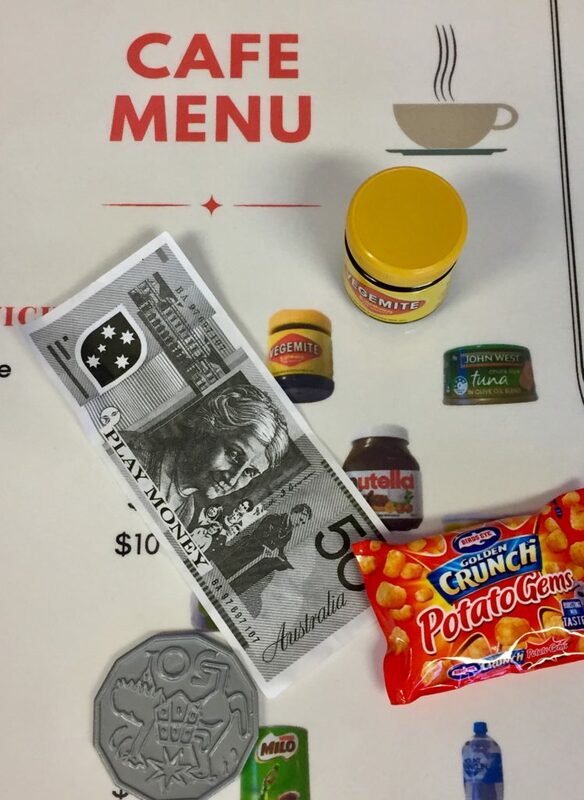 Use the play phone to order your food and pay with some play money / card. The food can be put in a brown bag for delivery. The delivery guy can dress up as a chef or with a delivery bag. These are all good role play ideas for developing imaginative play at home. 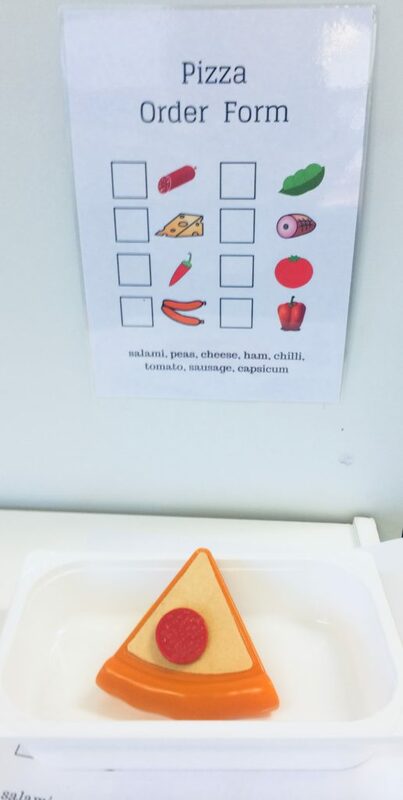 Depending on your child’s age, there are many vocabulary items you can practice – phone, menu, more cheese etc! What about the toys? You can either recycle your pizza boxes, containers etc. 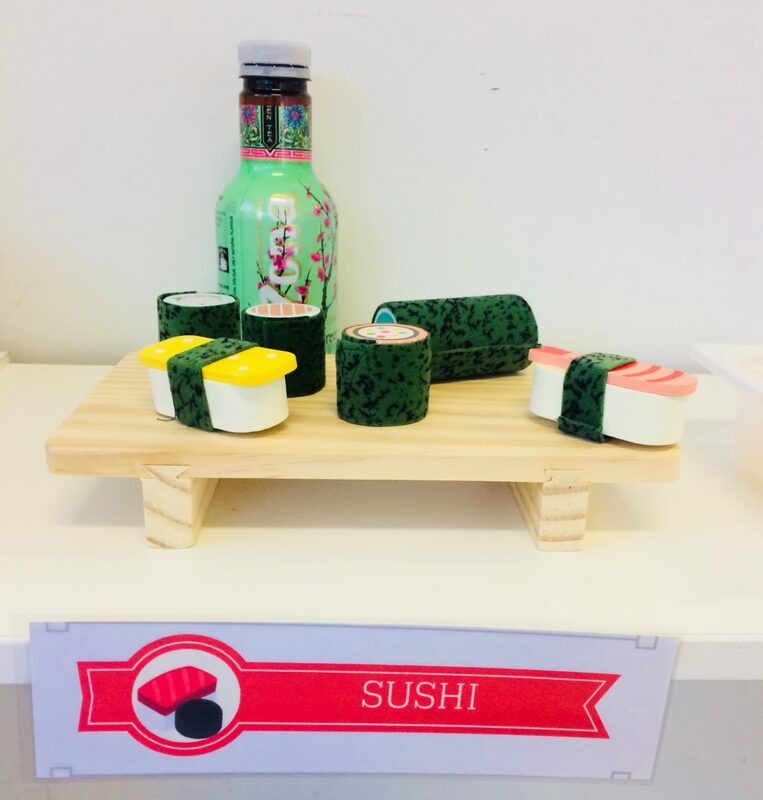 Or KMart has the sushi set and hamburger/chips set as pictured. The salad is a felt play set from IKEA. 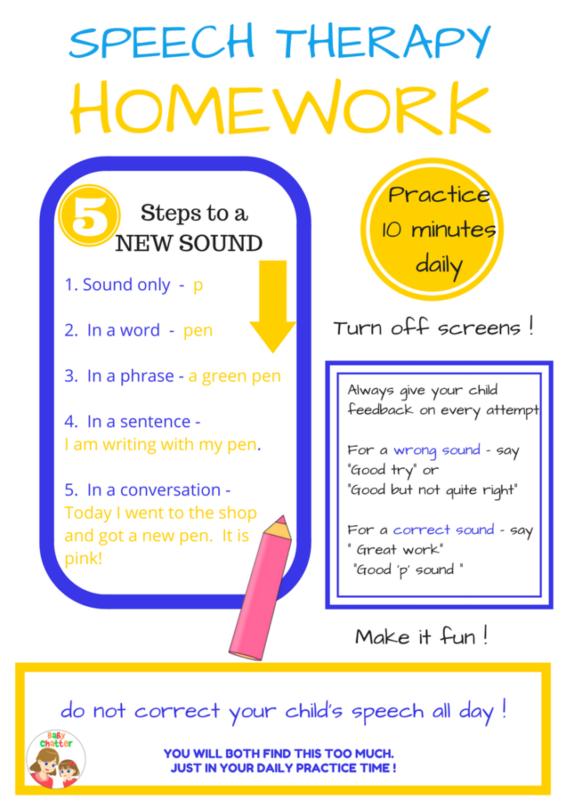 Download these easy guidelines for articulation practice! Some toddlers need extra help interacting and connecting with people. One of the ways that we interact with each other is by making eye contact. It’s so important to look at each other when you are interacting. Have you had a conversation with someone who is texting and felt like they weren’t listening to you? If your toddler needs help making eye contact with you then you have probably already found that it’s not helpful to say ‘look at mummy’ hundreds of times. Even calling your child’s name many times doesn’t work? 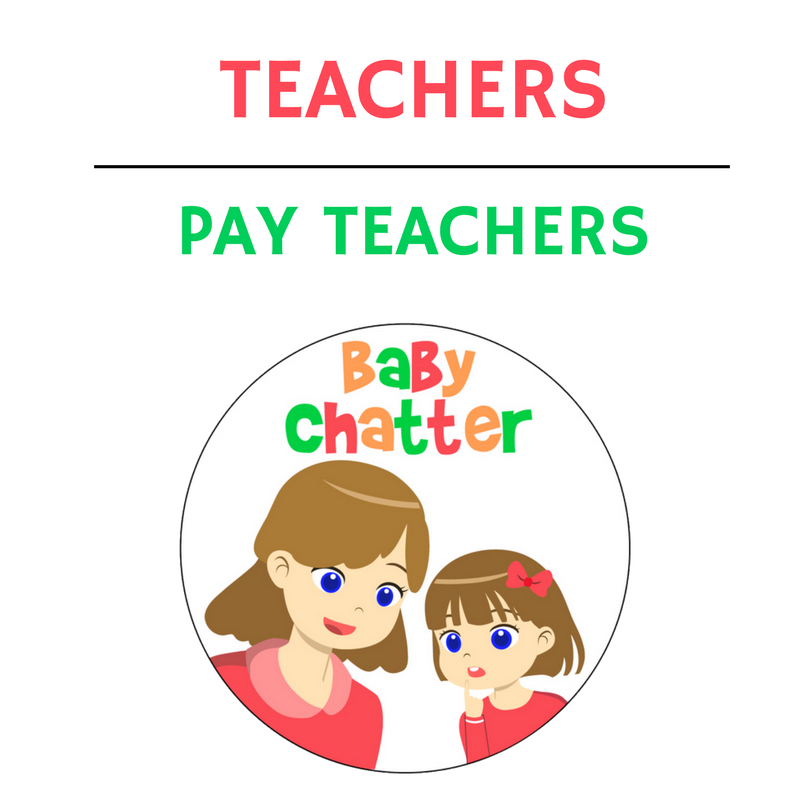 This infographic is for parents with young children who are working on interaction and eye contact. Can you playfully lure your child to look at you? Rather than command him! Download for a reminder during the day.